All Aussie Aluminium and Glass offers a stylish range of aluminium doors and windows to complement any Perth home. Whether you are building or renovating, we can help you choose the right aluminium doors and windows to make your Perth home inviting, add value and boost architectural style. 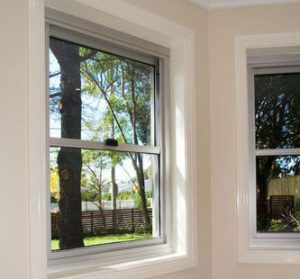 There are four traditional styles of windows – double hung, awning, casement, and sliding. The one that is most appropriate for you may depend on factors such as available space, how they operate and how much ventilation they allow. Choosing aluminium’s unique combination of strength and lightness enables frames, sashes and fittings to be neat and unobtrusive and provides years of trouble free operation. They are powder coated in a range of colours to suit your home and never need repainting. 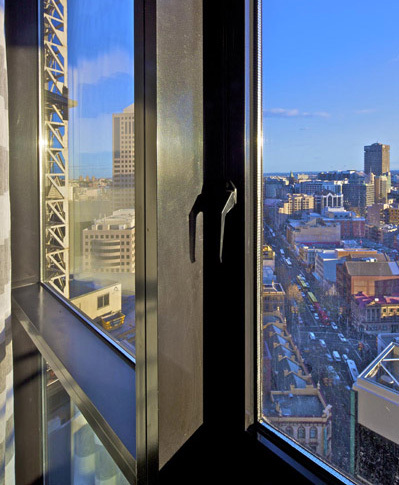 We supply aluminium doors and windows across Perth for both commercial and residential buildings as well as security options fitted with stainless steel mesh screens. Discover new possibilities with a custom package or select from our standard range of aluminium doors and windows for your Perth home or business. Our View-Max range offers design flexibility for the architect, builder or home owner with a choice of 76mm or 100mm framing, catering for those who prefer a slimline look to those wanting a more robust commercial application. The View-Max window seamlessly adapts to our ALSPEC brand award winning commercial framing systems such as the McArthur or Hunter, allowing for the integration of fixed flush glazing, double-hung or awning windows, or for integration with the Hawkesbury or commercial sliding door ranges. You’ll love included design features such as specialist locking, roller and drainage systems and sash choice for energy sensitive elevations. Our awning and casement windows are ideal for suburban housing, multi-unit residential, hotels and commercial applications. The awnings and casements can integrate with a number of our ALSPEC brand commercial framing systems with awning adaptors. The 35mm and 50mm sashes offer the benefit of overlapping internal and external seals to achieve superior weather performance. Various glazing options for single and double glazing are available. All awnings and casements can be used with a range of stays and operated with chain winders or cam handles, locking or non-locking. Talk to our professional team for more information about aluminium doors and windows to complement your Perth home. Call (08) 9309 5880 today or submit an online enquiry.